Minerva Punjab have failed to turn up in Sri Nagar for the away I-League game against Real Kashmir FC. The match by virtue of walkover is awarded 3-0 to hosts Real Kashmir Football Club. The verdict will do more harm to table toppers Chennai City FC and second placed East Bengal than the Punjab outfit that is reeling in the ninth position on the I-League 2019 points table. The tricky issue may lead the I-League from the field to courtroom. Even as the Minerva Punjab Management had asked the All India Football Federation to postpone the match, the AIFF has confirmed to the IANS that the match would be played as scheduled and all arrangements had been made. The AIFF had decided to adhere to the schedule following the security arrangements report from the Match Commissioner his report on the security arrangements and this had been forwarded to Minerva Punjab. “We have forwarded the report of the Match Commissioner to Minerva Punjab. We made all necessary arrangements and expecting the match to be played as scheduled,” IANS has quoted I-League CEO Sunando Dhar as saying. “Real Kashmir too have foreign players, they have a foreign coach. If they can stay there, can practice in full swing even during the turbulent time, then why can’t Minerva go there and play the match?” Dhar asks. The present scenario may lead to the legal mess as the table toppers are no less uncomfortable than Minerva Punjab. 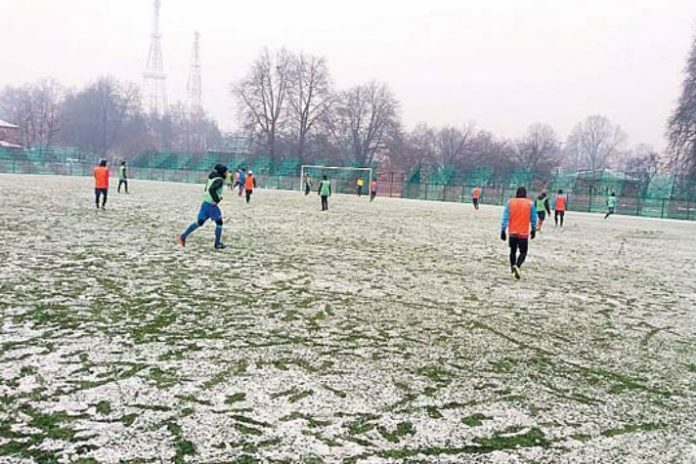 A 3-0 verdict in favour of Real Kashmir, who are in contention for the title, has potentially put the Srinagar-based club well in position to get the I-League title in their first season itself. Minerva owner Ranjit Bajaj had urged the AIFF to postpone the tie citing security concern in the present “unsafe” situation in Jammu and Kashmir. The club had also raised the issue of the overseas players getting advisories from their respective consulates for not visiting Kashmir. The concern is dismissed by the AIFF and Real Kashmir on the ground that the home team too have foreigners who have got no such advisory. Meanwhile, Chennai City are that third party who will be at the receiving end of a potential 3-0 verdict in favour the Kashmir club. Rohit Ramesh, Chennai City owner, said a more collaborative approach could have worked. His club is top on 34 points from 16 games, with Real Kashmir and East Bengal tied for second spot on 32. In fact the latter is set to travel to Srinagar on February 28 for what could be the title-decider. Sanjit Sen, East Bengal CEO said that he had conveyed his concerns and was waiting for an official response. Meanwhile, Bengaluru FC said it would consult the AIFF soon and then decide on its ‘B’ team traveling to Lonestar Kashmir on February 28 for an I-League second division encounter.